The sporty, heated ski gloves KANIKA AS® PR HOT LADY for frozen women’s hands include the water- and windproof ZIENER AQUASHIELD® membrane. 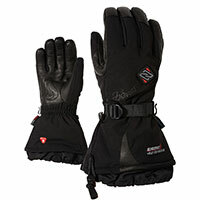 The ski gloves’ soft, sturdy leather palms ensure total comfort on the piste. The heating function uses a small rechargeable battery, which can be safely and comfortably stored in a pocket on the inside of the cuff. The comfort zone of 37-40 degrees Celsius inside the gloves is controlled by three different heating levels, depending on the external temperature. This guarantees optimum heat regulation. Additional extra-warm PrimaLoft® Gold insulation keeps hands pleasantly warm for up to 8 hours at the lowest setting. When set to the highest level, the batteries will keep the skier warm for up to 4 hours. The long cuffs are secured with the help of tri-glide buckles and can be pulled tight at the wrist with just one hand using the cord-lock system. 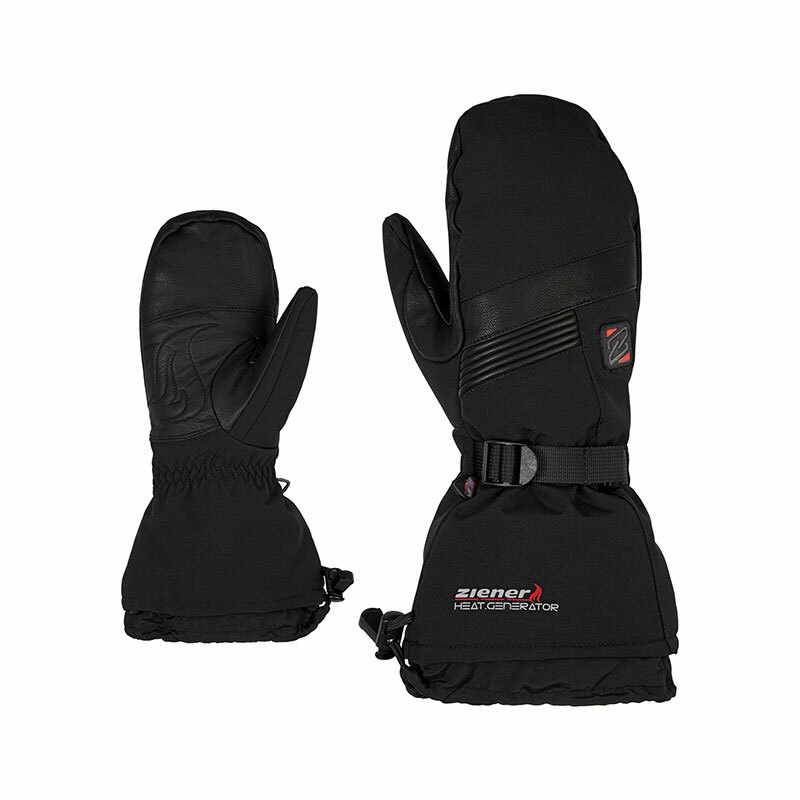 Heated glove with three heat levels and rechargeable battery.